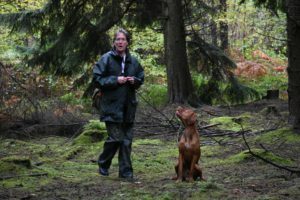 One to One training is a superb way of introducing you and your dog to gundog training. It allows us to tailor the training to your specific needs and help you to advance your skills quickly. 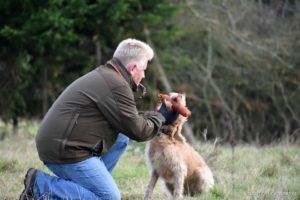 A one to one session starts with an assessment session to see where you and your dog are at stage wise. From there we can then develop a training plan for you to be guided by. 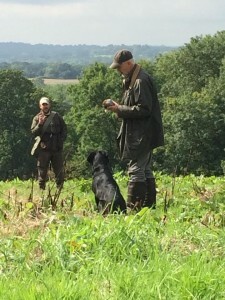 Whether its a spaniel breed, a retriever breed or a hunt, point, retrieve breed, we can help you achieve lots while you have fun. 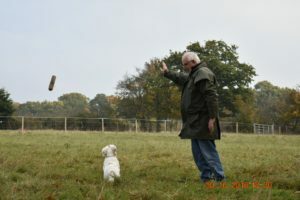 One to one training can be beneficial for those with a specific issue that they may have that is easier to address away from a class environment such as recall or retrieving issues. 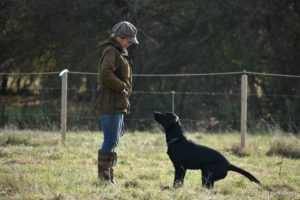 Also not everyone is comfortable with a group training and as such would miss out on gundog training. 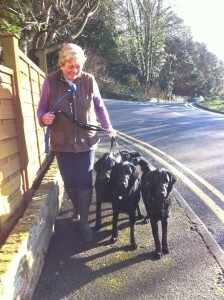 One to one training is usually held in Wouldham near Rochester or Cranbrook. We are also able to come to your venue should the need arise. Contact us to discuss your requirements. Thanks to Retriev-R-Trainer we are able to utilise their products in our training where suitable.